The success of Staples became an oft-mentioned business story that Romney told on the campaign trail as he ran for US Senate, Massachusetts governor, and twice for president. In 2012, Mr. Stemberg spoke at the Republican National Convention in Tampa, trumpeting his friend Romney’s contributions to his business dream. "(Obamacare) drove up premiums, took insurance away from people who were promised otherwise, and usurped state programs. 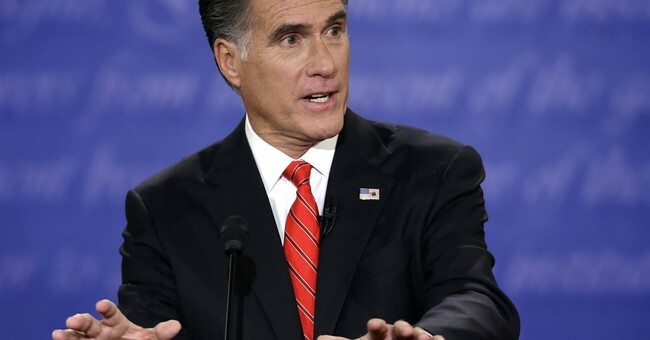 As I said in the campaign, I'd repeal it and replace it with state-crafted plans," Romney said. As for his comment about his friend, Romney said, "Getting people health insurance is a good thing, and that's what Tom Stemberg fought for." This waffled line represents one of the most frustrating aspects of the 2012 election. Romney, whether we like it or not, was our best candidate. Obama was eminently beatable, but Mitt’s inability to escape his health care policy past left him at odds with conservatives (for the most part). He was the only person where we couldn’t talk about health care without Obama’s campaign bringing up the fact that a) Romneycare was the blueprint for Obamacare b) Romney had previously campaigned that we should take Romneycare nationwide. In 2012, The Federalist’s Ben Domenech noted how Romneycare was an abject failure. At the time, he said the state was spending more on health care per capita than anywhere else in the industrialized world, and that by 2020–health care would make up more than 50 percent of the state’s budget. Domenech added that Romneycare drove up premiums, an admission by Mitt’s own advisers, and it went over budget. That point is more disconcerting, and something that undercuts the state-based approach talking point, since he said that within a few years of this program becoming a budget buster, Romney’s successor, Deval Patrick, came down to Washington to ask for more money; he got $4.3 billion more than he had asked from federal taxpayers. Romney may have been speaking fondly of his friend, but he also showed how Romneycare was an albatross around his neck in 2012.